Again this year, summer was a very busy time for many of our support people and administrators, who raced to complete, supervise and help in projects around campus. The emphasis this year was to renovate and expand classrooms, offices and facilities, renew the technology infrastructure and improve the campus appearance. Since most of the businesses in Greece are closed in August, most of the construction work was done within a 30 day period, right after the end of the Summer Camp, (A very hot time indeed). 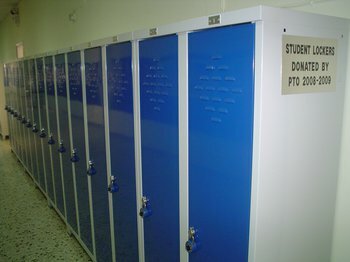 Installed the New student lockers, with the generous financial and expert help of our own PTO. Completely renovated the student Counseling area offices. Replaced the old carpets with new linoleum floors in all Middle school classrooms and part of the Academy. There are no more old carpets in our school. Ordered a new environmentally friendly, prefabricated, independent small building to be used as the new Elementary Dance/Music room. Its size is similar to the size of a classroom, about sixty-seven m2, air-conditioned, with its own bathroom. It is due to be installed and be operational by the end of September. Build two new room additions in the ground floor of the Administration building to house Mrs. Liakos counseling office and the new personnel office. Completed the new school wide fiber optic computer network of 10 Gbit. This project includes installation of completely new equipment and fiber optics lines. 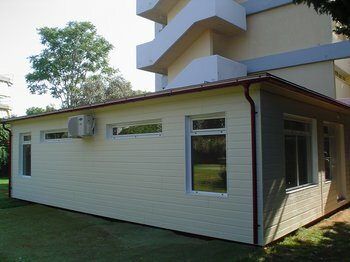 We doubt if any other primary and secondary school in Greece operates based in such a modern technology infrastructure. Brought underground from Garritoy street to our IT department a new dedicated fiber optics line to carry our internet traffic. We contracted with Forthnet Company to increase our internet speed to 6Mbit, a sixth fold increase. The new fiber optics line and internet are now operational. 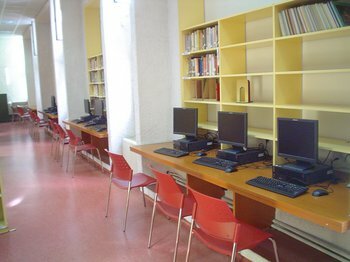 Bought and installed fifteen brand new computers in the Library for the use of our students. Created a completely new school internet website which uses the latest technology. This will make it more user friendly, easier to maintain and able to handle the information load our community needs. 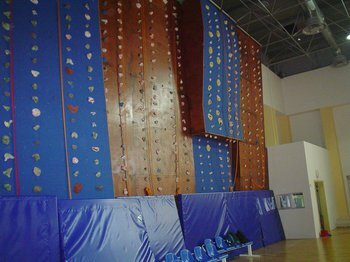 Installed a climbing wall in our closed Gym. It has twelve climbing paths, plus a climbing area for younger kids, (which do not require ropes). Everybody, young and old, is tempted to climb it. Renovated the old dark room in High school in order to convert it to a new science lab. We hope to have it furnished and wired in a couple of months. Installed tile floors in accounting and most of the administration offices. 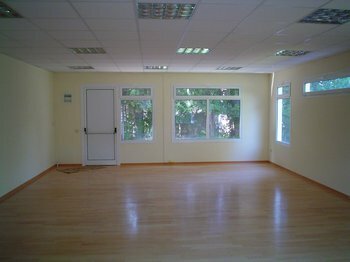 Renovated and furnished a New Academy ESL classroom. Created and furnished a New Discipline office in Academy. Converted the Elementary music room to a new KG Classroom to accommodate the increase of our preschool student numbers. Bought many new furniture and toys for our preschool. Bought new furniture and whiteboards for many classrooms. We replaced the experiment desks in the Academy science lab. Resurfaced the monkey bars area floor in the Elementary play yard. Installed a new interactive board in the Academy English language & Arts room. We plan to install another six in classrooms around the school sometime this semester. Replastered and painted the outside walls of the main library building as well as the walls of buildings facing the main cafeteria enclosed yard. Those walls were extensively damaged by the weather. We cleaned and maintained the inside motors of the heating fan coils in all school building classrooms. We replaced and modernized our water well equipment in order to accommodate our plans for a greener, grass and trees friendly ACS. Repaired and repainted with our school colors (blue and gold) all outside walls of the Theater and Swimming pool buildings. Similarly the Gymnasium was repainted inside and out. We repainted the classrooms and corridors of all school buildings. We ordered a new small maintenance truck to replace our very old Mitsubishi Van, which can not pass inspections and is dangerous to drive. We took advantage of the Greek government incentives. We replaced many of our old electrical power controls and switches for a more stable and safe school environment. Completed many smaller projects around campus. I want to thank our school parents Mr. George Rigas, owner of GAR Technical Company, (three kids in our school) and Mrs. Pauline Apostolides, Architect (two kids in our school), who advised and helped us with many of these projects. Of course a big thanks to all my colleagues in maintenance, support staff and administration areas for their dedication.